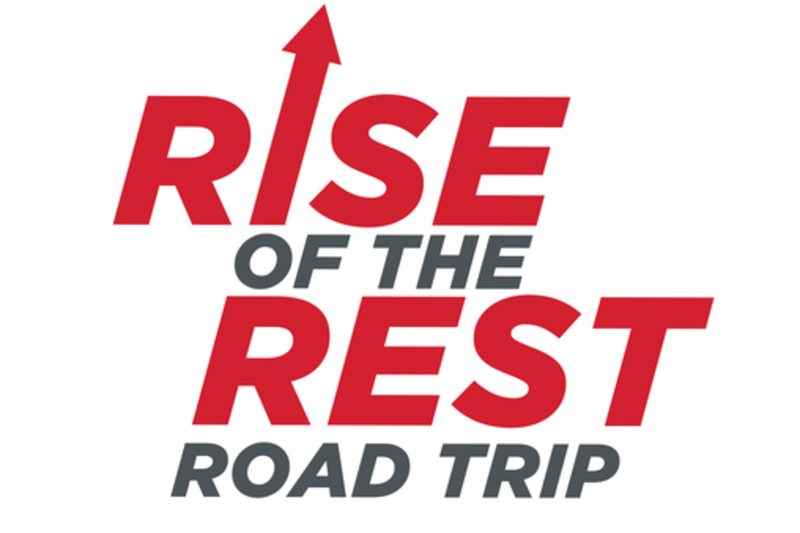 In 2014, Steve Case launched the Rise of the Rest Road Trip to nine cities. Along the way, Steve and the team heard dozens of pitches, met hundreds of entrepreneurs and hosted pitch competitions in each city. This year, we’re hitting the road again to showcase entrepreneurship in ten more cities. But first, we're doubling down on the great companies we've already met from five of the cities we visited – Madison, Minneapolis, Des Moines, Kansas City and St. Louis – by inviting them to pitch at SXSW. Each company will have five minutes to pitch, followed by three minutes of Q&A with all-star judges including Sallie Krawcheck (Chair, Ellevate Network), Troy Carter (Founder and CEO of the Atom Factory), and Steve Case (Chairman and CEO of Revolution). The judges will determine the winning startup and offer an additional $150,000 investment courtesy of Steve. The stakes are high and the cause is good so come cheer on your favorite team and accelerate the Rise of the Rest. Presented by Revolution. Renowned Entrepreneur / Investor, Troy Carter is the Founder and CEO of Atom Factory, a pioneering media and music management company. Carter has established the careers of numerous recording artists, including multi-platinum Grammy-Award winner Lady Gaga. Carter began his career in Philadelphia working for Will Smith and James Lassiter’s Overbrook Entertainment, and joined Bad Boy Entertainment in 1995 where he worked with groundbreaking artists such as Notorious B.I.G. In 1999, Carter formed the boutique talent management company, Erving Wonder. The brand quickly became one of the preeminent artist management firms and was acquired by the Sanctuary Group in 2004. After founding Atom Factory in 2010, Carter has continued his disruptive approach in entertainment and technology. In 2011, he founded AF Square, an angel fund and technology consultancy. Today, the AF Square portfolio holds interest in more than 60 technology companies at various stages of growth, including Uber, Dropbox, Spotify, Fab, Pinterest, and Lyft. He has recently launched a new beverage company, POPwater. POPwater, fully conceived, developed, and funded as an internal project at Atom Factory, has already proven itself to be one of the hottest new low-calorie alternatives to soda. Carter is an Aspen Institute Henry Crown Fellow and sits on the boards of The Grammy Foundation, T.J. Martell Foundation, United Nations Foundation Global Entrepreneurs Council, The Franklin Institute, and The Buckley School.